Despite the dire predictions of the death of analogue photography, there has been a noticeable resurgence of interest in non-digital, silver-based photography. With every “advance” in photography, while speed and ease has been gained, a describable and indescribable quality has been lost. The Daguerreotype was replaced with the faster Wet­Plate Collodion Ambrotype which was subsequently replaced by the cheaper Tintype. With each step, image detail and tonality declined. Salted Paper printing was eclipsed by the Albumen Print, which was in turn abandoned for gelatin­silver paper. Today ink (digital prints) has replaced photography‘s use of noble metals, most commonly silver, gold, or platinum/palladium.Again, “ease of use” outweighed image quality and, arguably, stability (archivalness). In this weekend Discussion & Workshop, participants will experience the evolution of photography through numerous historical processes. 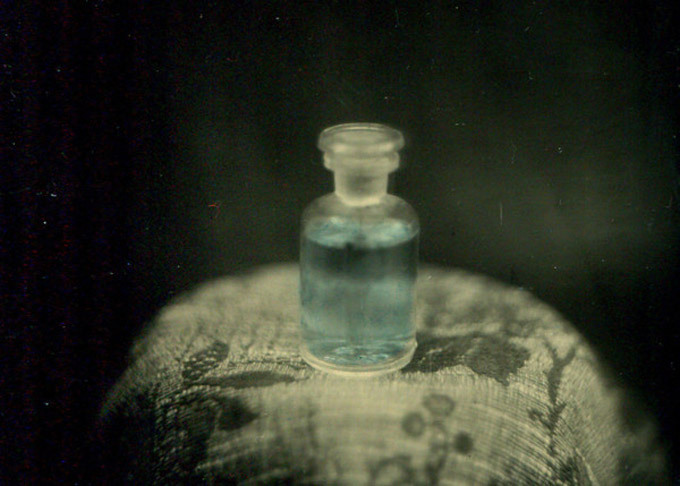 Saturday will include a discussion of various “antiquated” processes as well as demonstrations in Cyanotype, Salted Paper Printing, Silver-Gelatine Printing, Albumen Printing and Wet­Plate Collodion (Ambrotypes). At the end of the day participants will collectively decide which printing process (Cyanotype, Salted Paper, or Albumen) they would like to personally practice on Sunday. All materials for the workshop are included.